If you spend a lot of time in the sun, it’s just as important to consider what you’re putting in your body as what you’re putting on it. Sunscreen is the most important and effective way to protect your skin from harmful UV exposure, but certain nutrients also have the ability to combat and prevent sun damage. Load up on these five foods this summer (and all year ‘round) to keep your skin in tip-top shape. 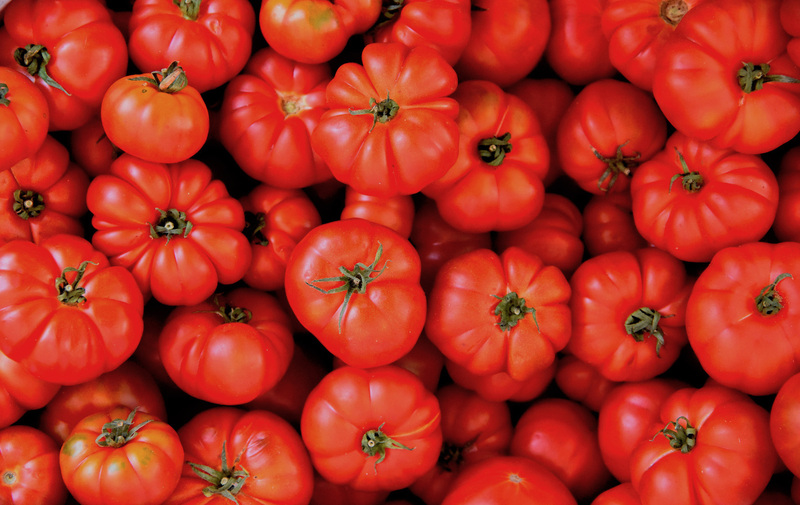 Tomatoes are an excellent source of lycopene, an antioxidant that has been shown to enhance protection from UV rays. Keep in mind that lycopene is best absorbed by the body when it’s cooked or sun-dried, so think tomato-based sauces, pastes, and soups. (Even a simple spaghetti sauce will do the trick!) If you don’t love tomatoes, other lycopene-rich foods include watermelon, papaya and grapefruit. Cocoa flavanols are a powerful antioxidant present in high quality dark chocolate that have the ability to protect your skin from sun damage when consumed regularly. Beware: not all chocolate is created equal! Read more about the benefits of cocoa flavanols here and where you can find them. Sweet potatoes are an abundant source of carotenoids, beta carotene, lycopene and Vitamin E– all of which are powerful skin protectors. Although you can’t substitute daily sunscreen application with a sweet potato-rich diet, you can rest easy knowing those starchy root veggies are doing their part to provide an extra layer of protection from harmful rays. Catechins, the active antioxidant compound in green tea, have the ability to increase resistance to UV radiation. Similar to cocoa flavanols, it’s best to consume green tea on a frequent basis (1-2 cups per day) to maximize its skin-protecting benefits. Not a fan of plain green tea? Try this Chocolate Matcha Blueberry Smoothie for breakfast instead. Sunflower seeds contain skin-healthy Vitamin E, which protects your cells from free-radical damage and keeps skin less inflamed. Vitamin E is present in a wide range of topical beauty and skin products, so get a double dose by consuming it naturally as well! Other Vitamin E sources include almonds, spinach and avocado. Try substituting peanut butter with sunflower seed butter (available in most grocery stores) in this healthy breakfast smoothie!